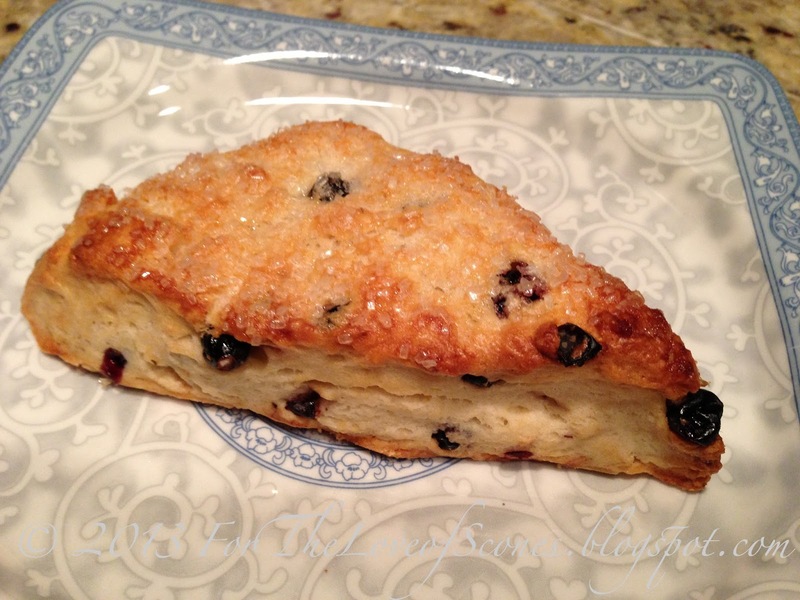 This was one of those days where I wanted to make scones, but I didn’t quite have the right ingredients for any recipe. So, I made up my own. I had some Mascarpone cheese in the fridge needing to be used, and an excess of dried cherries. 1. Preheat the oven to 450ºF. Whisk dry ingredients together (flour, salt, baking soda, baking powder, granulated sugar). 2. Add Mascarpone to the dry ingredients and, using a wooden spoon or a fork, work into ingredients until only small pieces remain. 3. Add the dried cherries and mix. 4. Add water to the dough in small increments (if needed) until the dough holds loosely together after one or two kneadings. 5. Turn the dough out onto a lightly floured countertop and flatten into a round about 1/2 inch high. Cut into 8 pieces and place on a parchment paper lined sheet. 6. Brush the tops with whipping cream or milk and sprinkle with coarse sugar. 7. Bake at 450ºF for approximately 15-20 minutes, or until lightly golden on top. 8. Remove from oven and transfer to a cooling rack. Allow to cool for at least 5 minutes before serving.